CEDAR CITY — Although the Cedar City Utah Temple of The Church of Jesus Christ of Latter-day Saints just opened for regular operations Tuesday, the new building has already had a positive economic impact on the area, local officials say. 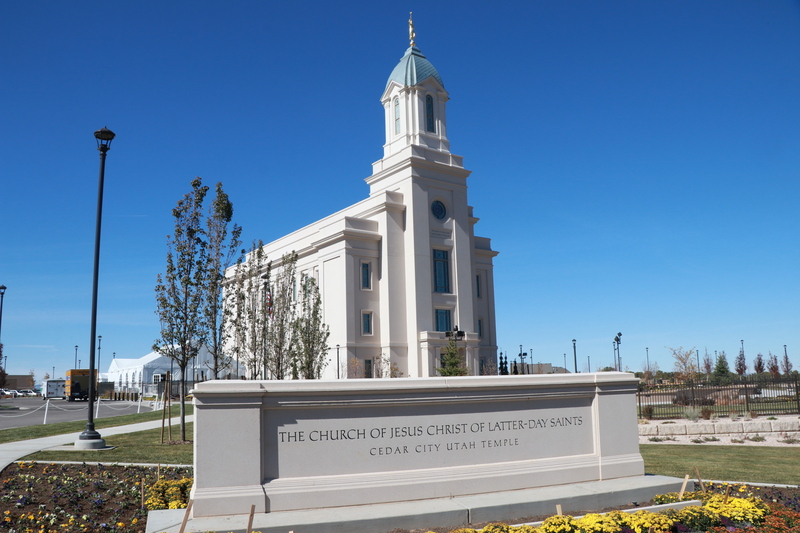 “Our community shined as we welcomed thousands of visitors to Cedar City,” Mayor Maile Wilson said, referring to the three-week open house held in advance of the temple’s official opening. “It was wonderful to see our local restaurants, stores and other businesses busy with the many out-of-town visitors that came to Cedar City for the various events associated with the dedication of the Cedar City Temple,” the mayor added. 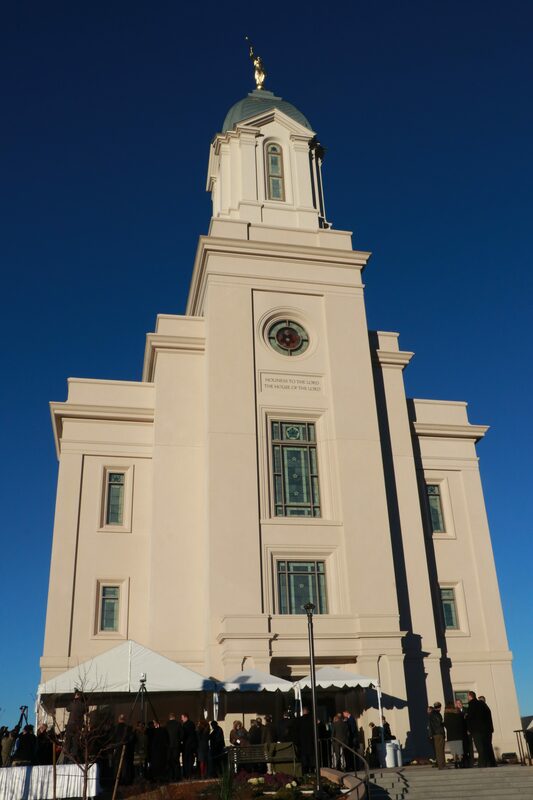 More than 180,000 people, or an average of about 10,000 per day, toured the temple during the public open house, which lasted from Oct. 27 through Nov. 18, said John Yardley of Panguitch, who served as the church’s coordinator for the temple open house and dedicatory events. One of the busiest days was Nov. 11, which saw more than 16,700 visitors, Yardley added. Travel and tourism officials said the temple’s open house had a positive effect, particularly in the areas of food and lodging. “I think the temple open house certainly had an impact on our community at a time of year we typically don’t see a lot of tourism and for that we are grateful,” said Maria Twitchell, president of the Cedar City-Brian Head Tourism Bureau. Twitchell said Cedar City area motels and lodging saw an overall increase of 9 percent in occupancy during the open house period. Most of the out-of-area temple visitors reportedly came from Las Vegas, California and Northern Utah, she added. After the open house wrapped up Nov. 18, the temple was closed for nearly three weeks while the building was cleaned and made ready for its dedication. On Dec. 10, President Henry B. Eyring of the LDS Church’s First Presidency formally dedicated the building in three sessions attended by several hundred members gathered inside the temple itself, along with thousands of others watching via closed-circuit broadcast from more than a dozen stake centers located within the temple district. 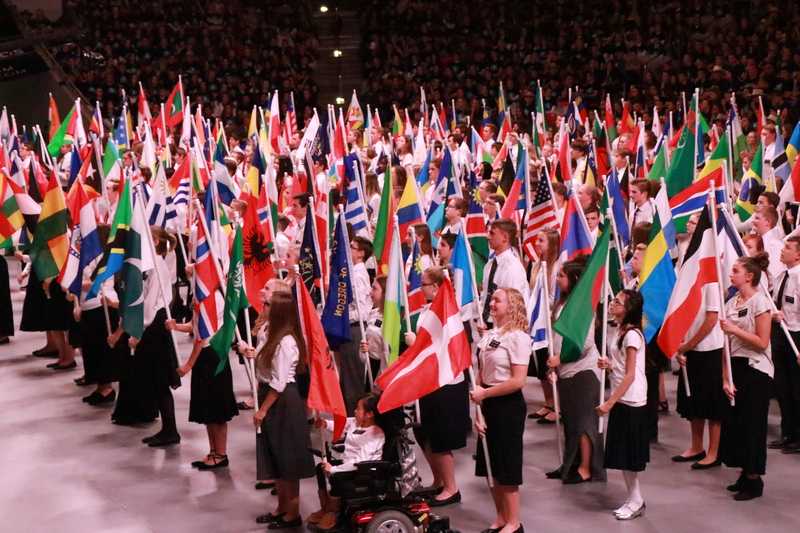 In addition, more than 3,700 area youth performed in a cultural celebration on the Southern Utah University campus Dec. 9, the night before the temple dedication. That event was viewed by a large crowd in the arena itself, with many more watching it from area stake centers. Chris McCormick, president and CEO of the Cedar City Chamber of Commerce, said he believes the temple’s impact on the community will be lasting. “Personally, I feel Cedar City will benefit from the temple in a number of ways,” he said. “It’s a beautiful building which enhances our community, it brings in people from outside of our area, it will help to increase property values and have a positive impact on our local economy. “Now that the temple has been officially dedicated, I expect we will see a steady stream of people attending on a fairly regular basis. During the open house, several of our restaurants saw a significant increase in business. In my opinion, the temple will continue to have a positive economic impact in our community, but not on the same scale. “Members of the LDS Church have a tendency to visit temples when they travel. As such, I see this as a positive thing for our local economy,” he added. In addition, some property values are also likely to see an boost, as demand for homes and lots near the temple is expected to rise, McCormick said. “I believe some people will move here to be close to the temple, others will purchase temple view lots and build homes, and we may even have a few new businesses open up as a result,” he said. McCormick said the temple’s aesthetic impact has already made it a favorite with photographers, both in and out of the area. “Some of the most spectacular sunsets I have ever seen are up on the hill behind the temple. Because of this, I feel a significant number of people will want to come take photographs,” he added. The 42,657-square-foot temple is located at 280 S. Cove Drive, atop a hill in a primarily residential subdivision on the west side of town. It is the LDS Church’s 17th operating temple in Utah and the 159th worldwide. Faithful members church visit temples regularly to worship and perform sacred rites, such as weddings, sealings, vicarious baptisms and other ordinances. Blessed to participate in the dedication Sunday via broadcast outside the temple district here in our stake center in St. George. I notice the heading isn’t positive impact… why not be honest up front? I wonder how many people take a peek at this article to see what negative impact it is having. I hate the way the media often presents articles. You will note that the first sentence does say “positive impact,” and that idea continues throughout the entire article. The headline was not intended to be misleading. Thanks for reading!